I have read several books by author and researcher William Lynwood Montell because he has written quite a bit about the region my family line lived in from about 1810 to 1950 (extended family still lives in the region described in his books). 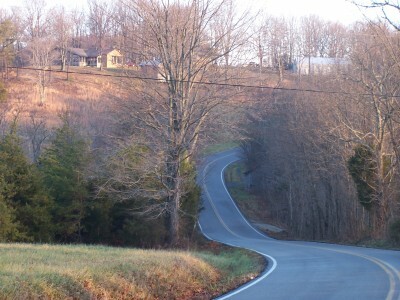 Although, my father was the first in our family line to permanently move out of the region, I still spent much of my childhood visiting Cumberland and Clinton Counties in Kentucky — and to a lesser degree a few adjacent counties in Tennessee. Because of my childhood visits I became very acquainted with the rituals, customs, mindset and beliefs of my extended family — which, in many ways, was significantly different than what I was experiencing in junior high and high school. The differences weren’t bad — just not the same as what I was experiencing 250 miles north of the region. Killings: Folk Justice in the Upper South relies of a variety of research methods to uncover the stories of the men and women and the violent crimes committed by them. It does not attempt to exploit or sugar-coat the stories — in an almost journalistic style it just relays the information. Montell explains his approach to the 50 killings included in the book. All together, there are 50 documented homicides between the mid-1880s and 1940, but only six more through 1979. Numerous additional unverified homicides are rumored to have occurred, mainly between 1900 and 1920. While there may be substance to some of these reports, I have chosen to omit them from consideration and base my comments and conclusions on the 50 killings that are verified by court records or substantial oral tradition. Even though the book is relatively short — just over 200 pages — it offers a considerable amount of information and insight into a region that had a homicide rate more than ten times the national average between 1880 and 1940. Montell was also very deliberate in choosing the word killing — as opposed to murder — because killing is a more accurate word to convey the various homicides mentioned in the book.